Own the Fantastic Beasts and Where to Find Them Virtual Reality Experience today on major VR platforms! FANTASTIC BEASTS AND WHERE TO FIND THEM VIRTUAL REALITY EXPERIENCE PUTS YOU INSIDE NEWT SCAMANDER’S SUITCASE! Burbank, CA, January 23, 2018 – Ready to see the Wizarding World as you’ve never experienced it before? Step through Newt Scamander’s case and explore the spectacular world of Fantastic Beasts and Where to Find Them in an expanded breathtaking cinematic virtual reality experience available for purchase on January 23 on major VR platforms. 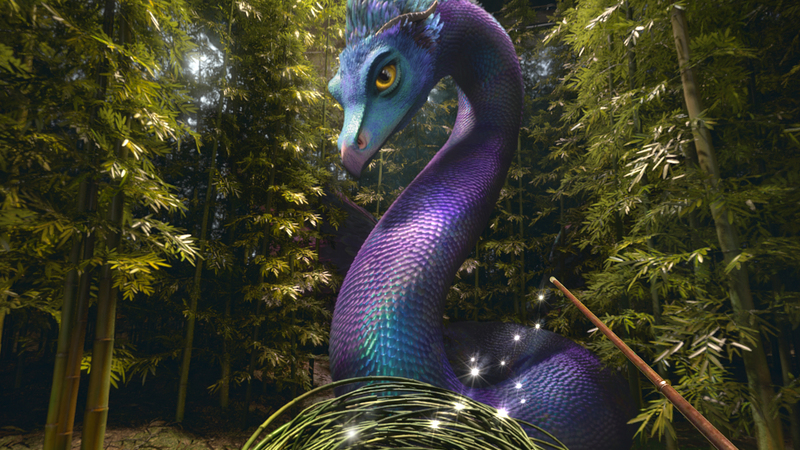 Based on Warner Bros.’ 2016 film, Fantastic Beasts and Where to Find Them Virtual Reality Experience allows users to meet and interact with six magical beasts, complete spells, explore Newt’s shed, create potions, and immerse themselves in the magic like never before, all while guided by Magizoologist Newt Scamander (Eddie Redmayne) himself. 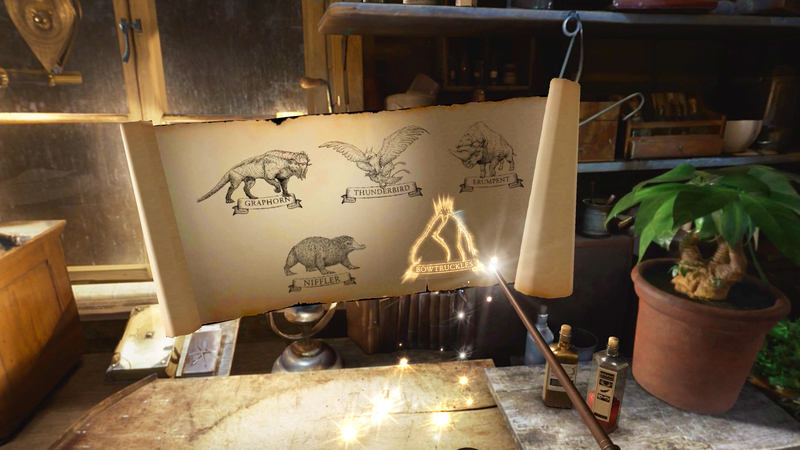 This version of the previously released limited VR experience will allow fans to return to the Wizarding World for a more robust and expanded experience, featuring three new beasts including the fan favorite Niffler, as well as the Occamy and Bowtruckles. These join the previously available Thunderbird, Erumpent and Graphorn. Fans can also participate in more magical spells as they interact with each of Newt’s fantastic creatures. Additionally, the experience includes a deleted scene and 360 degree behind–the-scenes footage that takes fans onto the set and into the movie making process. Fantastic Beasts and Where to Find Them Virtual Reality Experience will be available for purchase on major VR platforms beginning January 23. The home-based VR experience will support controllers, spatial tracking and room scale tracking, depending on the platform. The mobile experience (Samsung Gear, Google Daydream) will be available for purchase for $4.99, and the room scale/immersive experience (Oculus, HTC Vive) will be available for purchase for $9.99. The experience will be available in six audio languages, including English, Latin Spanish, French, German, Japanese and Mandarin Chinese. Fantastic Beasts and Where to Find Them takes us to a new era of J.K. Rowling’s Wizarding World, decades before Harry Potter and half a world away. Academy Award winner Eddie Redmayne (The Theory of Everything, The Danish Girl) stars in the central role of Magizoologist Newt Scamander, under the direction of David Yates, who helmed the last four “Harry Potter” blockbusters. Fantastic Beasts and Where to Find Them also stars Katherine Waterston (Steve Jobs, Inherent Vice) as Tina, Tony Award winner Dan Fogler (The 25th Annual Putnam County Spelling Bee) as Jacob, Alison Sudol (Transparent) as Tina’s sister, Queenie, Ezra Miller (Trainwreck, upcoming Justice League) as Credence, two-time Oscar nominee Samantha Morton (In America, Sweet and Lowdown) as Mary Lou Barebone, Oscar winner Jon Voight (Coming Home, TV’s Ray Donovan) as Henry Shaw, Sr., Carmen Ejogo (Selma) as Seraphina Picquery, and Colin Farrell (Saving Mr. Banks, TV’s True Detective) as Percival Graves. The film mark the screenwriting debut of J.K. Rowling, whose seven beloved Harry Potter books were adapted into one of the highest grossing film franchises of all time. Her script was inspired by the Hogwarts textbook “Fantastic Beasts and Where to Find Them,” written by her character Newt Scamander.